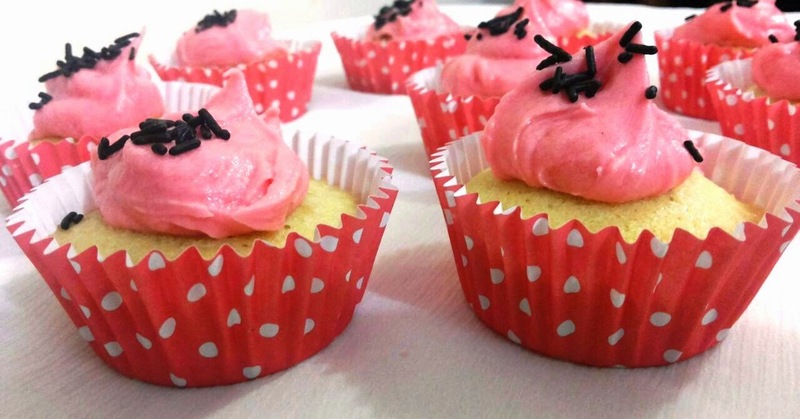 Cupcakes are called so as they were made by measuring ingredients in a cup. Cupcakes are smaller,miniature cakes,lighter in texture,sweeter,have frosting.There is always a confusion between cupcakes and muffins. While Muffins are bigger,bread like,denser in texture,sweet or savoury,no frosting. Take a bowl.Add butter,castor sugar and vanilla essence to it.Whisk them well till you get a smooth mixture. Add eggs and mix them well.The mix will curdle but that will be fine later. Now add half of the flour and half of the milk to mix.Whisk well.Add remaining flour and milk and whisk well. Preheat oven at 190degree celsius. Place silicon moulds in each of the depression of a 12 cup muffin pan. Add the mix to each of the mould with the help of spoon.Fill the mould only half way because cupcake will increase in size. Keep the muffin tray on baking tray and place in oven for 12 to 15 minutes. Poke a toothpick in cake and it should come out clean.That means cupcakes are ready.Let the cupcakes cool on a rack for five minutes. For BUTTERCREAM FROSTING,mix butter,icing sugar,vanilla essence and milk together. 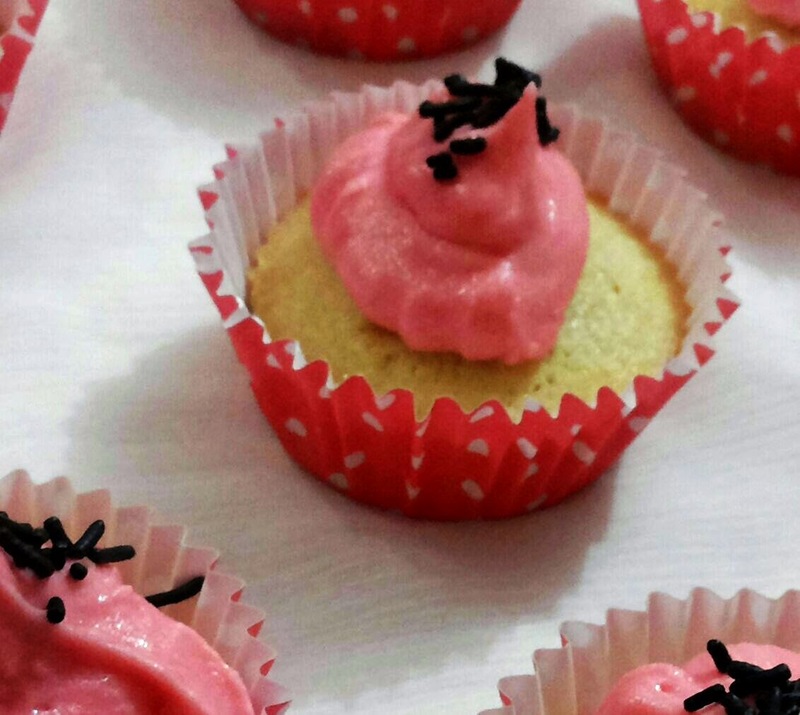 Place frosting on each cupcake with the help of spoon.Sprinkle each cupcake with the chocolate sprinkles.